An empowering design course for entrepreneurs. Developed to give you the tools and confidence to create work that you can be proud of. 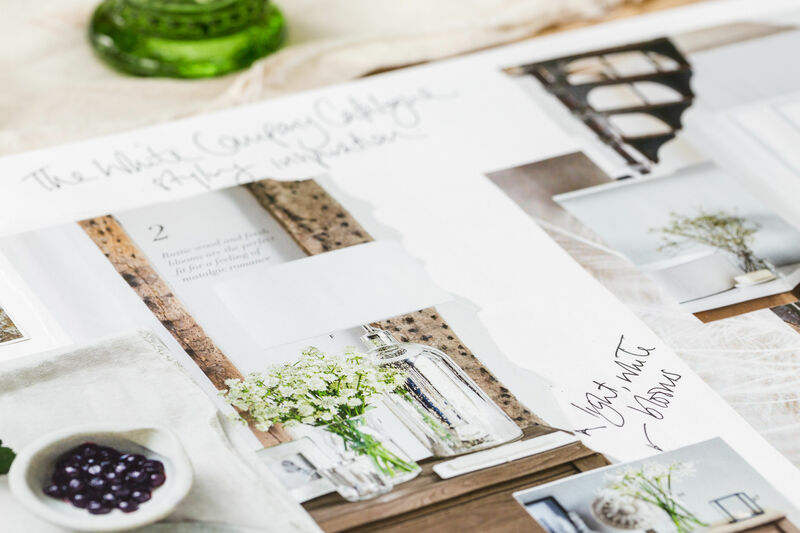 Imagine having the confidence to know that everything you create in house: from your proposals and price lists to your Instagram graphics and client presentations, look as great as they possibly can. What could that do for your business? Design for Go-Getters will give you the tools and the confidence to create beautiful designs that you can be proud of. It'll give you the ability to create the impact your message deserves, create credibility and desire and charge what you're worth. I passionately believe that everyone has the power to learn to design, and in this course, I'll show you how. This course picks up on where you leave off with your designer and will show you how to implement your gorgeous brand identity day to day. You might say it's about being able to create smart, professional, on-brand designs. But I think it's about more than that. Great design is at the heart of every successful business. It'll help you build value in your offering, demonstrate your expertise and ensure that your clients see your business, and your work, in the way you intend. It's about treasuring your clients. It's part of charging what you're worth. And it's totally within your reach. In this creative and inspirational online course I'll show you how to create beautiful, polished and professional pieces of communication that create the right impact for your brand. We'll explore how to apply the rules of graphic design to each and every piece you create so that you can apply what you learn to whatever programme you’re most comfortable in: Canva, Powerpoint, Microsoft Word- anything! Once you understand the rules of design you can make them work for you with whatever you have to hand. Enrol in Design for Go-Getters today and discover the tools and techniques you can use to create work that does your brand proud, each and every time. Through a series of narrated presentations, before and after transformations and interactive assignments, you’ll discover just how easy it is to create gorgeous work with whatever tools you have to hand. An inspirational, creative an empowering design course for entrepreneurs. A clear understanding of the principles of great design and how to use them to create the impact you want. The confidence to create beautiful, creative work that'll do your brand proud. An insight into exactly how to apply great design to everything you create, from Insta graphics to reports, proposals and downloads without the need for any special software. The ability to create work that communicates with clarity, elevates your offering and gives your message the impact it deserves. Fiona has done it again - another BRILLIANT course! What should I say? Just great. It was a fun course, I just loved the music in the makeover videos and I learned a lot. Again. I am so looking forward to the next online course and also to the workshop I will attend in a week. Everything you need is in here, color, typography, images and so on. The special at the end was a great surprise as well. Nice to see how you review things and how I can look at my projects from another perspective. Thank you for this great course! I thoroughly enjoyed the Design for Go-Getters online course from The Brand Stylist. There's lots to work through but it's broken down into manageable chunks, with plenty of visual examples to explain the theory. The before and after examples are particularly good because the befores look okay until you see how they look after! That really helps to illustrate what you can do with your own collateral with even just a few simple changes. I'm developing a new learning resource which involves masses of information downloads, worksheets and case study material, and I wanted to make sure all this material made sense within our brand. Now I'm inspired to do even more than that and see that I can use this opportunity to take our brand to the next level with visual communication that feels really special. If you have existing communications you want to overhaul, you can do it as you work through this course. If, like me, you haven't made the material yet, it's perfectly fine to just work through the class without doing the assignments. It all still makes perfect sense. Great course, easy to follow, highly recommended. I'm really good at my work (even if I do say so myself) but I've always been a little reticent when it comes to sending out branded communications, knowing that I just don't always do my business justice when it comes to design. Working through this course has not only shown me what's possible, but given me exactly what I need to show the value in what I do via tasteful, powerful, compelling design. It has also inspired me to tackle projects I might previously have put off. Fiona's accessible, warm and inspirational approach and the beautiful presentation of it all has made Design for Go Getters, a real delight to work through. She has helped me see the world through the eyes of a designer and I'm really enjoying what I'm beginning to notice. I'm both inspired and motivated to elevate all my communications now and what might have been a job to get through before is now a delightful project to enjoy. What software should I use to design in? I'M NOT A DESIGNER, DO I REALLY NEED THIS CLASS? Absolutely! Yes! You may not be a trained graphic designer, but you're probably producing work on a daily basis that's shared with your team, your clients and your prospective customers. Reports, downloads, graphics for your social channels and presentations; proposals, invoices, media kits and posters. Whether you're conscious of it or not, all of these things you're creating are 'designed'. They may be consciously so or not, but they're creating an impression. Doesn't it make sense that you learn to create work that does your brand proud? ARE YOU GOING TO TEACH US HOW TO USE PROFESSIONAL DESIGN SOFTWARE? No, most certainly not! Design is more a state of mind than being about using professional level software and the rules I'm going to teach you on this course will enable you to apply great design to whatever you create in whatever package you choose to use. This isn’t about me telling you to use a particular programme - it’s about applying the rules of graphic design - layout, alignment, white space, beautiful typography, scale, hierarchy, colour... to each and every piece you create. And you can apply what you learn to whatever programme you’re most comfortable in: Canva, Powerpoint, Microsoft Word- whatever! It’s just about knowing what to look for and giving yourself permission to get this stuff right. WILL THERE BE TUTORIALS ON HOW TO DO THE TECHNICAL BITS? No, thanks for asking. You're an intelligent and busy entrepreneur and I've chosen to keep the class inspirational and focusing on the headlines that you need to know to make all the difference to your work. You'll probably find you know how to do much of what we look at, and a quick Google or use of your in-software help tools will cover off any gaps in your know how. I still search for certain technical tutorials now and that's all part of being a great designer and being prepared to up your skills. What this course will give you is a comprehensive view of what makes great design and how to implement it within your own business. I'M A COMPLETE TECHNOPHOBE, IS THIS COURSE FOR ME? Good question! That really depends on how much you're prepared to embrace the tech. In this course, I'll show you what you need to know about creating great design and why it matters. At some point you're going to need to get on the computer to implement what you've learned and depending on how familiar you are with the programme you're using, you may find that you need to use the help tools in your programme of choice, or YouTube tutorials to discover how to do a specific thing. Remember, you can take all of this at your own pace! DO I NEED ANY SPECIAL RESOURCES? Not especially, although I do encourage you to invest in a sketchbook to fill with your inspirations. IS THIS COURSE COMPLETELY ONLINE? No, I'm so glad you asked. At one level, this class is about giving you the tools and the confidence to create work you can be proud of. And many of the tutorials and lessons will be online. But as entrepreneurs we spend far too much time at the screen. Creativity is the lifeblood of every business and this course is all about encouraging you to foster that at every level. So expect assignments that take you away from your computer and instead implore you to use your hands, involve the senses and boost your creative energy. Your business will thank you for it. I'M REALLY BUSY, IS DESIGN GOING TO TAKE UP LOTS OF MY TIME? It really shouldn't do. In fact, once you know what you're doing, you'll find that you are able to make decisions much faster and more efficiently. More than that, if you're busy because you're fighting for every piece of work that comes your way; competing on price and proving your worth at every interaction, then this is going to transform how your clients see your business. Great design is part of charging what you're worth, winning the work you want and treasuring your clients. It's essential if you're to make the most of the potential within your brand. I DON'T HAVE A BRAND IDENTITY YET, WILL THIS COURSE TEACH ME HOW TO DESIGN A LOGO? Not really. This course is all about the principles of great design for your communications: your client presentations and proposals, posters and leaflets, media kits and so on. This course wasn't designed to cover how to make decisions about which elements are right for your brand. If you're still working on that, I'd heartily recommend my bestselling book, How to Style your Brand, which will guide you through the process. You'll be bound to get tons about how to communicate effectively through design in this class but it's not a brand styling course. WHAT WILL WE BE DESIGNING? Whatever you need for your business! Throughout the course you'll take one piece of communication and work on it throughout as a part of your assignments. This might be a media kit, a services brochure, a client presentation or a welcome pack - whatever you need. Once you've completed the course you'll be able to apply what you've learned to all of your marketing collateral. ARE YOU AVAILABLE TO ANSWER QUESTIONS AND PROVIDE FEEDBACK? No, thanks for asking. Design for Go-Getters is a self-directed, self-paced class that will empower you to create brilliant work that you can be proud to call your own. I've chosen to make this course available to you all year round and as such, am not able to provide feedback or answer individual questions. I'm confident that you will have the tools and the know-how to create gorgeous design once you've worked through the class in its entirety. And I do, of course, welcome your feedback at the end. IS THERE A TIME LIMIT FOR COMPLETING THE CLASS IN? No. You can work through this at a pace that suits you. Go nuts and binge on everything in a couple of days or take your time and reflect in between lessons. You have complete control over how you work through the class. And with lifetime access (given that you stick to the terms) you'll be able to revisit any of those lessons that resonate the most in the future. HOW DOES THE COURSE WORK? WILL YOU BE EMAILING OUT CONTENT? DO I NEED TO BE AVAILABLE AT SET TIMES? Nope, it's all set up in the website back end so you can work through everything on your own timeframe. When planning my online classes I thought long and hard about the best way to manage them. About what would work best for you and for me. And I think flexibility is key. Personally, when I sign up to something, I want to ride that wave of enthusiasm and get started straight away! And if life gets in the way and I'm not able to finish, that can be a shame. So I've built the class in a way that will work for you whatever timescale you're on. No need to be available for live webinars or any of that stuff - it's all in class ready and waiting for you! IF THE COURSE ISN'T FOR ME, CAN I GET A REFUND? No. Thanks for asking. As this is an online course, no refunds will be given. If you have any questions about the suitability of the class prior to signing up, please do email me and I'll be delighted to answer. Like all offerings from The Brand Stylist, this is a high value, well-considered course that will have a huge impact on your business. I've priced it at a level that makes it accessible to as many entrepreneurs as possible and I'm confident you'll love it! Do take a look at the reviews to get an insight into the quality of my classes. You're going to have a ball! CAN I SHARE MY LOGIN WITH A FRIEND OR COLLEAGUE? No. Thanks for asking. Your enrolment fee covers one user. I share lots of content for free on my website and these online courses are priced fairly and more than reflect the value you'll gain from the class. If you'd like to discuss prices for multiple logins or even an affiliate programme if you have lots of clients who would benefit, then I'd be delighted to hear from you. I'M A COMPETITOR RESEARCHING IDEAS FOR MY OWN ONLINE COURSE, IS IT OK FOR ME TO ENROL? Yes, absolutely, I'd be delighted to have you. As an empowered, intelligent and ethical entrepreneur you'll understand just how much work goes in to pulling together an online course. You'll also know that the best online courses draw on personal experience. So you'll respect my copyright and you won't repost, repurpose or share any of my content in your own class. Copyright Fiona Humberstone, The Brand Stylist 2018. No part of this course may be reproduced or redistributed without prior written permission.